In this community, which is growing fast and in clusters, arises the desire for a shared centre. This centre should also combine the single districts, which differ a lot from each other regarding their significance and use. 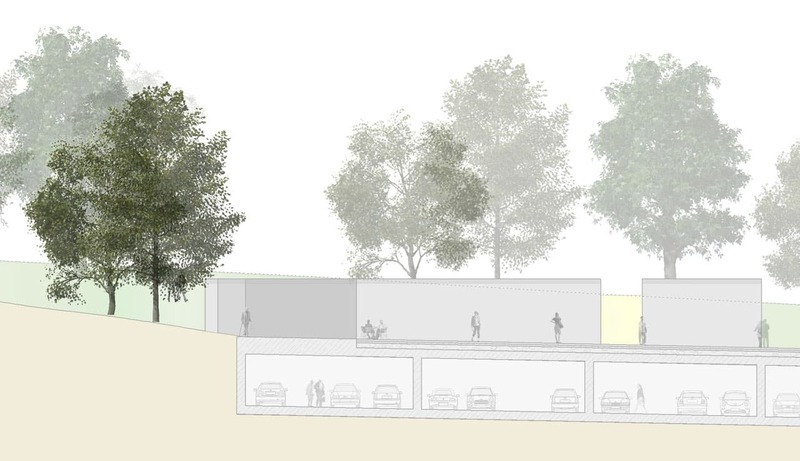 The basis of this concept is the contour line 450müA, which has the average height of the single town districts and offers the most interesting connections. 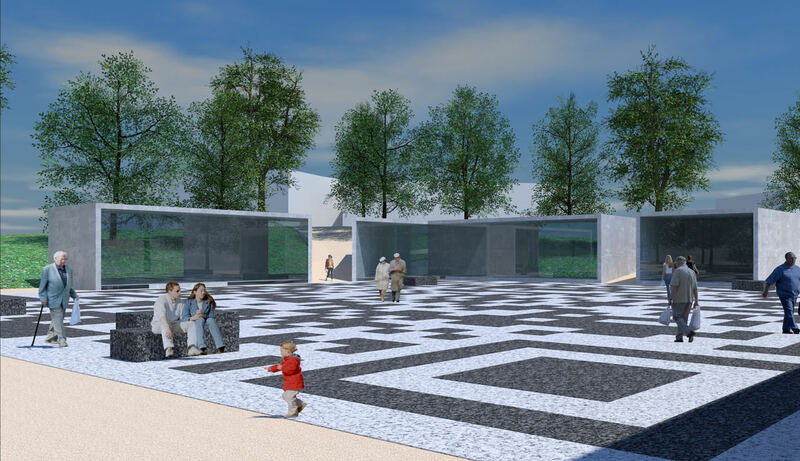 In the centre lies the new market square, located above the underground car park, which thanks to its transparent pavilion construction is providing space for local amenities, a book store and a café in the north­-west as well as an event area in the south of the square. In the west area there is a passage into the nearby palace garden which serves as an additional recreation area. 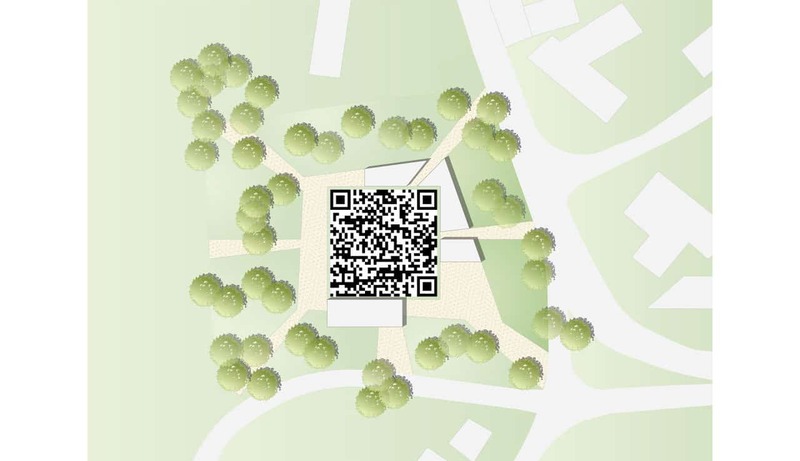 As a hint to the University of Applied Sciences located in the north section, the design of the entire square was planned in the form of a QR code. It is linked to the community homepage which is updated regularly and thus offers the latest information and news regarding the community’s events and activities.